C-Tick approval number printed on the remotes as required by law. Remote control products without a C-Tick approval printed on them are illegal. 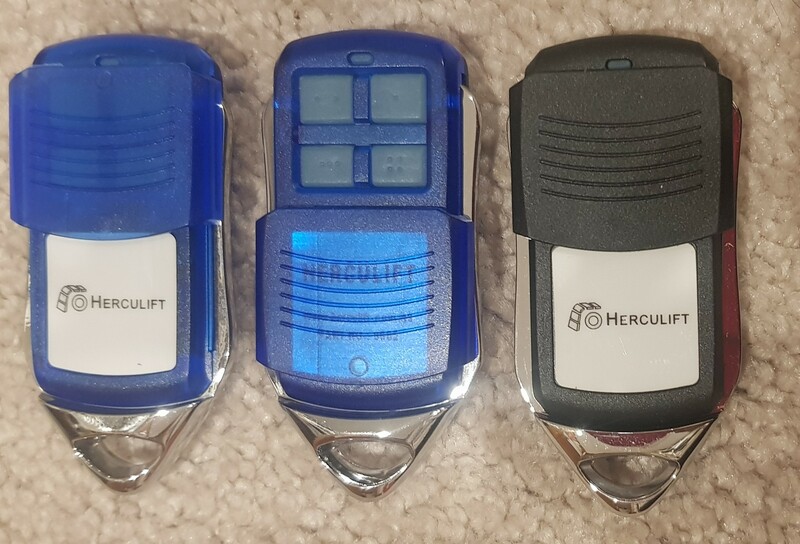 Some non-compliant remotes have interfered / corrupted Herculift's garage door opener’s operating software resulting in product malfunction. Any use of non-genuine Herculift remote controls will void the warranty on the Herculift garage door opener product. Supplied with Nickle button battery (CR2016) for longer use and with an indicator light. 433MHz Multi brand Transmitters, 4-channel, Light Grey. Suitable for both Herculift and ATA 433Mhz receivers. It can be used to replace the following ATA brand remotes. Suitable for used as a replacement for the following Merlin brand Remote (pre-2008 model). Suitable for Herculift 315MHz Receivers. 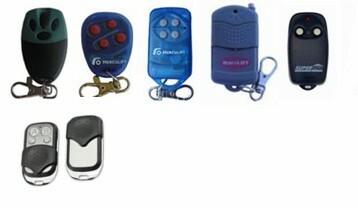 Add On Feature: Also can be used as a replacement for the following Gliderol 315MHz remotes (Glidermatic). Herculift 433MHz Transmitter – suit B&D CAD4, B&D CAD5 (pro2004) remotes. Suitable for replacing B&D 062170, 062162 & 59116 below. Hold up to 30 transmitter channels. Storage up to 30 transmitter codes and direct compatible to ATA 433MHz gate operators, Robot commercial motors and some other brand openers. An alternative radio frequency to the 433MHz, packed with two key-ring transmitter. Storage of up to 30 transmitter channels. Compatible to Gliderol brand remotes and receivers. To open door externally. Suitable for both rolling and sectional door openers.